Over and over and over and over and over…. like a monkey with a miniature cymbal. Or in this case like a girl in a pair of denim overalls. Very much the ‘laidback’ vibe that Hotchip sings about, I’ve managed to find the perfect brunch to park hangs to cocktails to who knows what else outfit (like the endless hangs in Frances Ha). I’m weary that I’m not the only one to join the overall party. Pretty much everyone has, which is why I was putting off RSVP-ing. 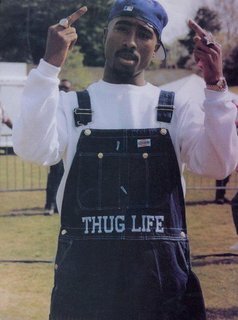 My reluctance was largely due to to them being a trend piece – something I take offence too because I’ve always thought denim overalls were appropriate ever since rappers donned them in the nineties. They looked good then and they look good now. Not much has really changed in the way of style. Being a bootylicious girl, I was worried that they may add bulk to my hips and hide my waist, but these Asos ones I bought are incredibly flattering and oh so comfortable. Teamed with a stripe-y sweat (thicker than a cotton tee and ideal for winter) this is set to be my outfit of choice for my up-coming travels, worn with flat loafers instead of green suede heels though. While I’m all for the relaxed denim kind, I’m still not sure how I feel about the shorter versions. In my mind they’re made for girls called Becky who go on Contiki tours (may or may not have something to do with a girl called Becky who wore them on my USA Contiki tour). I’m going to go ahead and predict that they’re bound to become the new festival staple (worn with a minimal bikini top), replacing the scarily short denim underpants that have become the practical uniform. In order to steer clear of that zeitgeist, I’m going to stick to the long and lean kind with a turned up hem. Laidback….